Fall 2011 Mercedes-Benz Fashion Week. . Wallpaper and background images in the andrej pejic club tagged: andrej pejic. 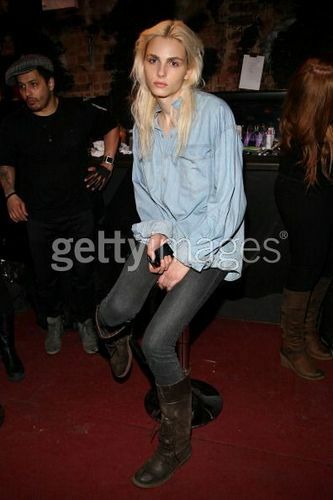 This andrej pejic photo contains hip boot and thigh boot. There might also be gut gekleidete person, anzug, hosenanzug, pantsuit, lange hosen, lange hose, oberbekleidung, überkleidung, and overclothes.